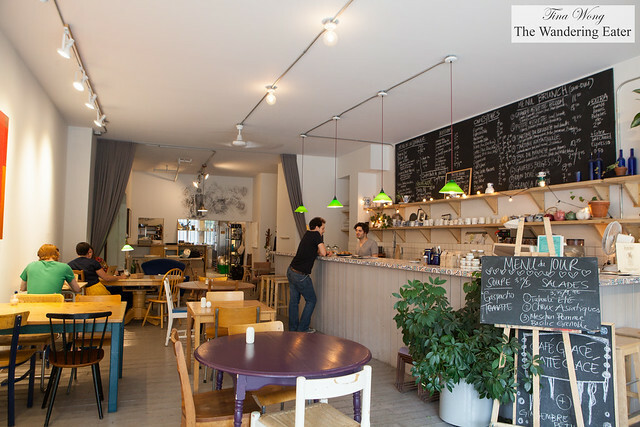 I wanted to eat outside of Downtown Montreal since it would be too easy for me to be complacent to not explore. I headed out in Point St. Charles, Montreal. If I had to compare this neighborhood to New York, it reminds me of Williamsburg before 2010 when gentrification is taken over but it’s not totally gotten insane with the luxury condos that’s springing up all over NYC. 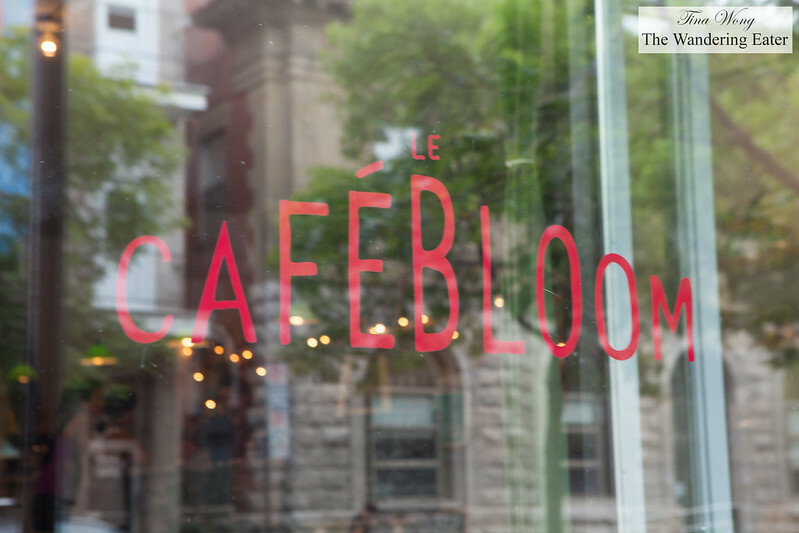 Le Café Bloom is a charming, welcoming café outfitted with lots of vintage, wooden tables and chairs, an open kitchen in the back. There’s even a small area for children to play with toys. 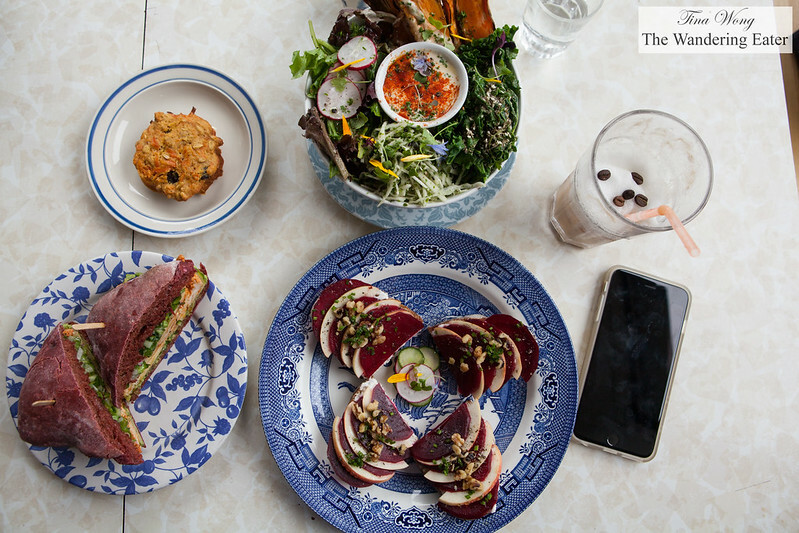 Bloom serves a seasonal, vegetable-forward menu that uses hyper local ingredients from bakers and farm fresh ingredients from their nearby Atwater Market. 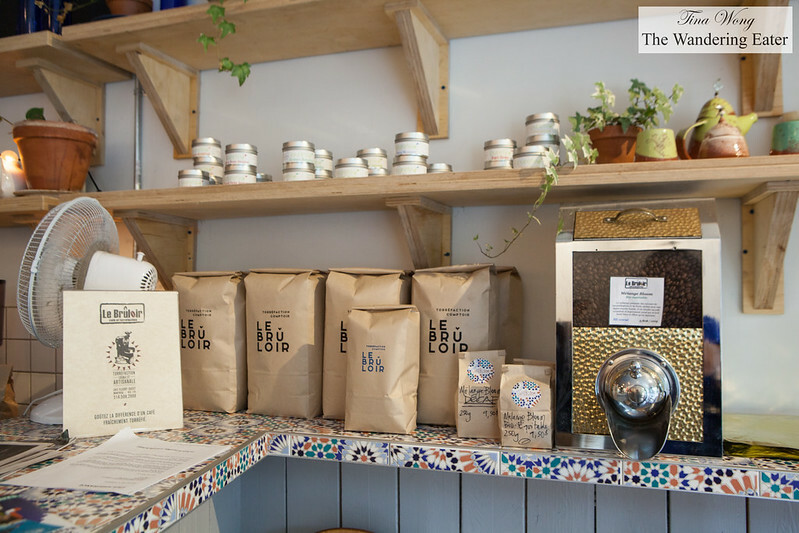 They use organic and fair-trade coffee beans supplied from Le Brûloir. Their non-caffeinated beverages are teas, fresh pressed juices, and even make their own ginger soda. It was a very humid day and it certainly helps to have a cold drink. 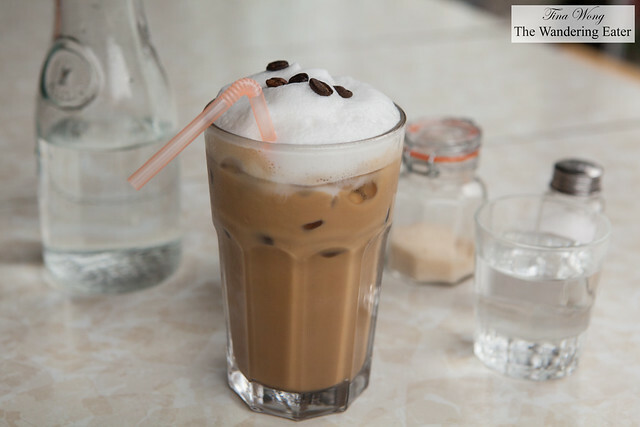 I started off with their iced cappuccino. Nicely robust and most importantly, cold. Their signature dish is the Bloom Bowl. It’s a substantial, healthy bowl that looks beautiful and it actually tastes great, too. 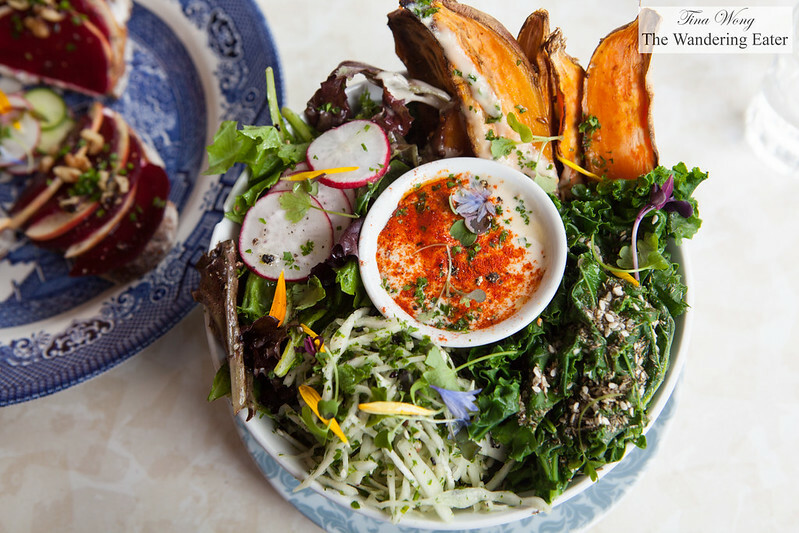 The bowl is based on a bed of cooked quinoa, topped with wedges roast sweet potatoes coated in tahini, cabbage slaw, mixed greens, and steamed kale with za’tar. The vegetables are distinct but they give so much personality to the bowl. Nutty quinoa. Sweet potatoes covered in creamy, nutty tahini. The slightly creamy, crunchy cabbage slaw and the steamed kale with spicy spices of za’tar elevates the dish. 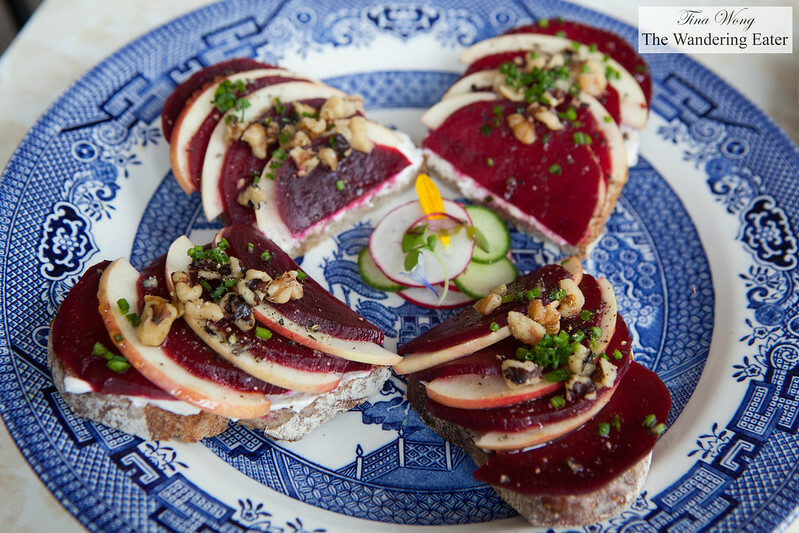 The tartine fromage de chèvre with thinly sliced apples and beets, black walnuts on rye was delicious. 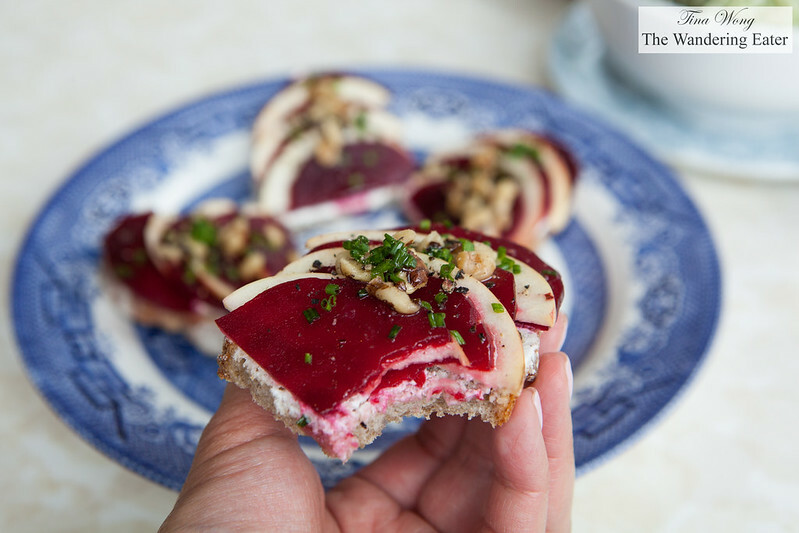 The rye bread was wonderfully sour with creamy, tangy smear of goat cheese and the sweet beets and crisp apple to balance this out. 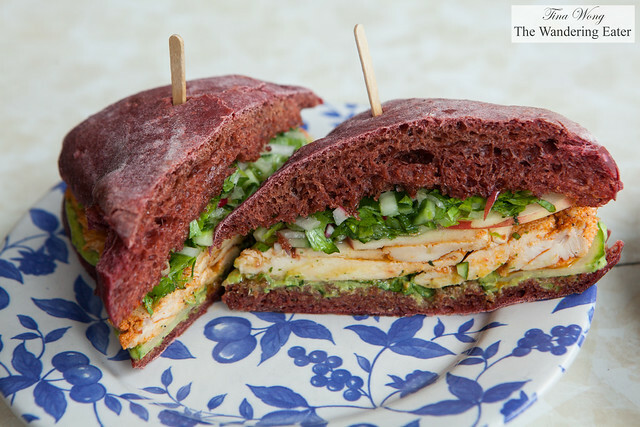 The paprika marinated chicken breast layered with salsa verde, avocado-chevre mousse on locally made beet foccacia was amazing. The chicken breast was moist and tender and the salsa and avocado mousse made it incredibly flavorful. I almost forget I am eating a healthy, substantial sandwich. 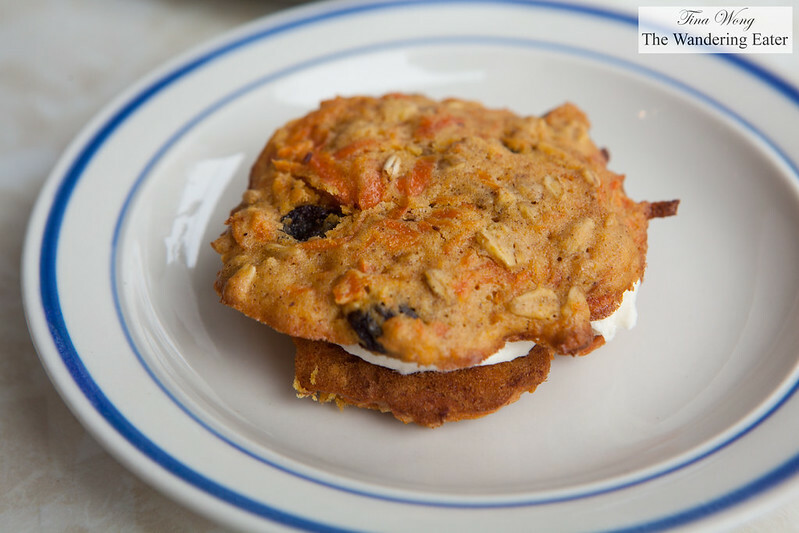 The carrot cake cookie sandwich was pleasantly sweet and tart with the cream cheese filling. 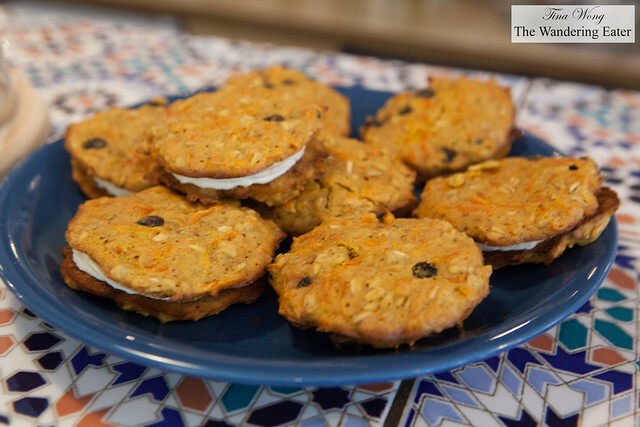 Texturally, it’s like a whoopie pie than a crisp cookie. Personally, I like my cookies crisp than soft but it tasted what you’d expect in carrot cake in cookie form. If this place was closer to my hotel, I would totally swing by often for a nourishing, delicious food and a good beverage.